14 Mar 2019: Soyuz launches crewed mission MS-12 from Baikonur at 1914 UT. Three astronauts destined for the ISS. Conveniently timed at 3:14 pm Eastern on Pi Day. 16 Mar 2019: Delta 4 launches WGS-10 from Cape Canaveral at 0026 UT. US military commsat. 19 Mar 2019: Interstellar Technologies launches “The Rocket Partnership” to deliver its planned “Zero” rocket to orbit by 2023. A key part of the Launch Abort System for NASA’s Orion capsule was successfully tested at about 1800 UT 20 March 2019. The component tested today was the Attitude Control Motor, the smaller of the two main parts of the Launch Abort System. The Attitude Control Motor provides over 30 kN of lateral force and is powered by a solid rocket motor attached to a horizontal ring of eight variable exhaust ports. The flight controller may block, throttle, or open each valve to control the motion of the escaping Orion capsule. The main force for crew escape is provided by the Launch Abort Motor, with its four exhaust vanes located lower down on the stick-like Launch Abort System stack. The Launch Abort Motor has been tested separately, most recently in December 2018. Both parts of the the LAS will be integrated and flown on a test platform in the AA-2 mission planned for this June. Later on, it will also test on a Space Launch System (SLS) heavy rocket built for the uncrewed Exploration Mission 1. Orion will first fly with astronauts aboard during Exploration Mission 2, planned for 2023. Though the Interior budget highlighted Landsat 9, whose images will be processed in South Dakota, there were some inaccuracies in the White House’s NASA FY2020 budget summary. Whether the NASA budget is up or down depends on whose figures you’re going with. Detailed figures from NASA say “$21.019 billion”, which is a $481 million or 2.2 percent decrease from the final 2019 budget of 21.500 billion. More confusing is the White House budget overview for NASA, which cites a budget of “$21 billion”, “$238 million or 1.4-percent increase from the 2019 estimate”, at least one of which is mathematically incorrect. Though the details of NASA’s budget often matter more to other states, one issue that does affect the Upper Midwest is the proposal to eliminate funding from NASA’s Office of STEM Engagement, which provides NASA funds to the various states and territories through two main efforts: the Space Grant program, which provides NASA funds through grants of up to about $25,000 for Education, Scholarships, Internships, and Public Engagement, and the NASA EPSCoR program, which offers larger grants of up to $750,000 for scientific research, collaboration, and travel for work with NASA researchers. Without the Office of STEM Engagement and its grant programs, NASA’s education efforts would amount to just a small amount of incidental efforts from other Mission Directorates – think special events for Mars landings or Pluto flybys. However, there is not yet cause for concern, as the cuts in the proposal have been called “dead on arrival” in Congress by journalists and House Democrats. In early March, Space Grant leaders from across the country met in Washington, D.C. and also made time to visit their congressional delegations. The sense seems to be that the Office of STEM Engagement will not be closing, whatever the budget highlights might suggest. Thomas V. Durkin, CGP, a Geologist and Deputy Director of the South Dakota Space Grant Consortium at the South Dakota School of Mines and Technology, is confident that NASA’s STEM Engagement programs will continue. “Congress likes Space Grant, because it provides funds for students in their states to excel,” and offered insight on the program’s role in developing a workforce for NASA and the aerospace industry. Internships accessed through Space Grant helped to put at least one South Dakotan behind a console at Mission Control for the International Space Station. Durkin also spoke positively about the uniquely high level of interaction that a small congressional delegation provides, just one advantage that smaller states have when contacting policymakers. It’s not just universities knocking on Congress’ door when it comes to space policy; just this month, there have also been other lobbying efforts by groups from the Planetary Society, to tech companies and Brazilian partners, all looking to get their visions into the cycle. The ink will start to flow more formally, however, when the Congressional Budget Office completes its review of the President’s proposal, and the Congressional version of the budget is introduced in the House and Senate budget committees; the exact schedule has been irregular in recent years. NASA’s 2019 budget did not receive final approval until February 2019, following a high-profile government shutdown. That budget provided a surprise bonus of $1.6078 billion over the original 2019 budget request. And just as it was with last year’s threat of budget cuts, Space Grant is very likely to remain a Congressional priority. CSA astronaut David Saint-Jacques seals the PMA-2 hatch, 7 March 2019 1812 UT. Due to ground test performance issues, RocketStar cancelled the launch of its suborbital Cowbell aerospike rocket, previously planned for today, 1600 UT 7 Mar 2019, at Cape Canaveral. Wyoming Space Grant launched a stratospheric balloon, StratoStar0216, from Sheridan, which reached 29.3 km MSL. APRS listening posts lost radio contact about halfway into the 2 hour flight, but ground teams recovered the payload near Moorcroft. Following a new article at Ars Technica in a series focused on a downturn in the Russian space industry and its working relationships with NASA, Elon Musk gave Russian space engineering a bit of encouragement. David Saint-Jacques, the first astronaut to enter the new SpaceX capsule in space, was also the last out of it. Saint-Jacques was tasked with closing the two hatches, both the external IDA hatch, closed at 1739 UT, and the internal PMA hatch, closed at 1812 UT. DM-1 will undock and deorbit on Friday for a water landing off the coast of Florida. The brightly-coloured plushie version of Earth flown on Crew Dragon as a “Microgravity indicator” will remain aboard the station. Anne McClain and David Saint-Jacques also took interviews today for ABC, CBS, and NBC News, commenting on SpaceX DM-1 and the upcoming Expedition 59. In Edmonton yesterday, 6 March, Canada’s Minister for Innovation, Science, and Economic Development unveiled further details on a national space strategy aimed at keeping bright-eyed STEM students on a career track within Canada. As announced last week, CAD$1.9 billion over 20 years to build Canadarm3 for the Lunar Gateway space station. An additional $30 million per year for LEAP, a program to provide private industry funds to develop additional technology for lunar exploration. Increased STEM Outreach to K-12 students, including sending two children from each province and territory to CSA Headquarters to participate in a special Junior Astronaut training event. Using space technology to improve communications, including in the provision of health care. A plan to grow greenhouse crops in northern Canada, under similar conditions to space farming. Expand the use of satellite images for agriculture, presently used on just 10% of Canadian farms. 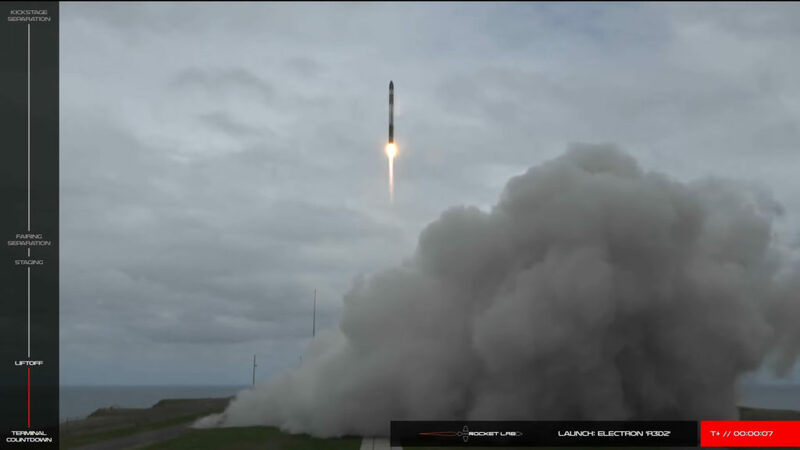 Spaceport America hosted a suborbital launch by EXOS Aerospace 2 March 2019. The 374 kg SARGE rocket carried 7 payloads, including experiments for Mayo Clinic, the University of Central Florida, and Purdue University. Launch time was 1747 UT, and landing time was 1758 UT. APRS data from KG5TSM indicates the recovery phase began at or above 22058 meters MSL. SARGE can reach altitudes similar to a weather balloon, but much more quickly, and returns to Earth just as quickly, with a GPS-controlled parafoil that steers the reusable rocket back toward the launch site. Erected with a crane truck and loaded with liquid oxygen and ethanol fuel shortly before launch, it had a bit of the feel of a hobby rocket, just on a larger scale. EXOS, the successor to Armadillo Aerospace, is also working on a reusable orbital rocket called Jaguar that will deliver 100 kg payloads to orbits possibly as high as 400 km. SpaceX Demonstration Mission 1 (DM-1) launched from Kennedy Space Center at 0748 UT 02 March 2019. Capsule #C204 is crewed by a crash test gynoid named Ripley, and also includes a small amount of cargo, less than 200 kg. After the capsule completes all tasks on station, it will take a handful of science experiments back to Earth, with splashdown scheduled to take place off the coast of Florida at about 1345 UT 08 Mar. The mission is required to fully prove the abilities of the capsule formerly known as Dragon 2 (now branded “Crew Dragon” and “Cargo Dragon” depending on mission role), and is the final test flight before humans will fly on follow-up mission DM-2. That mission was planned for July 2019, but more recent estimates range from “summer” to “before the end of the year”. DM-2 will mark the end of the second set of gap years between US crewed orbital spaceflight programs. A new set of satellite Internet providers are taking to the skies to offer high-speed access, from the farthest reaches of the seven continents, to that last batch of Minnesota households just past the end of the fiber network. 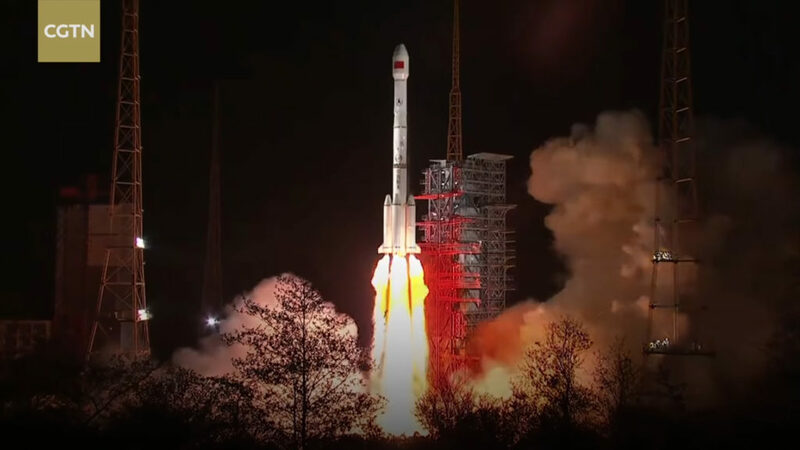 On Wednesday 27 February 2019, just after 2137 UT, OneWeb launched its first six satellites into space from Sinnamary, French Guiana on Arianespace Soyuz mission VS21, following hot on the heels of January launches from Iridium and Telesat. The OneWeb F6 satellites herald a new kind of LEO Satellite Internet, which will use large constellations to provide 100% coverage of the Earth’s surface, with high speed and low latency. Compared with older satellite options, it’s a change as dramatic as the shift from dialup to broadband. WASHINGTON, D.C. – “Forger” Stucky and “C.J.” Sturckow, the test pilots who flew Virgin Galactic VSS Unity flight PF04, received Commercial Astronaut Wings on Thursday 7 February 2018, in a ceremony at the U.S. Department of Transportation. The special event was MCed by Jeffrey Rosen, Deputy Secretary of Transportation, and featured further remarks by Rep. Kevin McCarthy (R-CA 23), Sir Richard Branson LVO, and Secretary of Transportation Elaine Chao. Though they’re not as frequent, space launches from Japan are always welcome news. 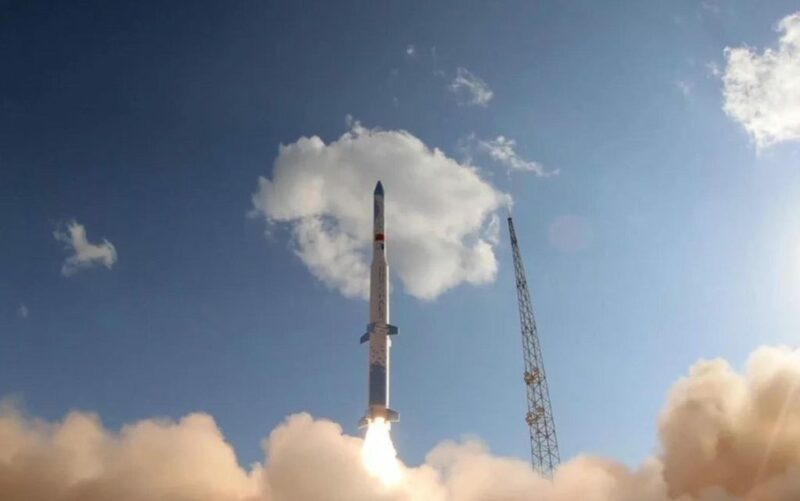 The Epsilon rocket has successfully kept up its pace of continuous improvements at a rate of about one launch per year. Liftoff of the Epsilon 4 mission was at 0050 UT on 18 January from the Uchinoura Space Centre in Kagoshima. JAXA has so far used the Epsilon rocket mainly for science, research, and development payloads. Epsilon mission 4 was just a little different, with a unique commercial payload added to the mix. The manifest included 7 payloads: 4 microsats and 3 cubesats.